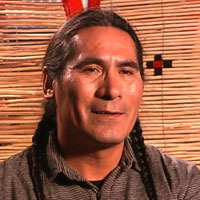 At the time of his interview, Mr. Weatherwax was an educator with the Rural Systemic Institute at Blackfeet Community College in Browning, MT. In his interview, he encourages us to be wary of subjective histories that often exclude the tribal perspective. Two Sides to Every Story - Calvin Weatherwax.